An opportunity to own one of Habersham's premier homes in The Mansion Flats, located in the coastal community of Habersham in Beaufort SC! This single-level, luxury home has 3 large bedrooms and 2.5 wonderfully appointed bathrooms. The master bedroom suite has generous closet space with his/her separate sinks and lavatories, and a shared, double-entry, beautufully tiled shower. The Flat has an expansive open floor plan with 14-foot ceilings, imparting the ambiance of a true southern mansion. There is also a sunny ''extra'' room for your home office or artistic endeavors. This luxurious home will treat you to the best of everything, including 2 gas fireplaces, beautiful antiqued, real wood floors, luxurious crown molding, lovely trim detail,built in wine refrigerator and top-end applianThere is a lovely courtyard for those back-yard barbeques or just relaxing in the sweet southern air. Storage abounds in this well-designed home, with a walk-in pantry, generous closets, an oversized, single car garage with an adjacent tabby parking space, sizeable storage shed and closed-foamed crawl space (to keep you cozy in the winter months). You will have plenty of privacy, but are only a stroll away from all of the fun that Habersham offers with its extensive Marketplace where you will find some of the best shops and restaurants in the Beaufort area. As a buyer's bonus, the seller is offering a $3,600 credit at closing to pay the monthly regime fee for 6 months or use it to offset your monthly fee by $200 for a year and a half! Habersham is an award-winning coastal community with amenities that include, a fantastic Community Pool, River Retreat, Boat Dock, Boat Storage, Har-Tru Tennis Courts, Clubhouse, Playground, Community Garden, Dog Park and Walking Trails. 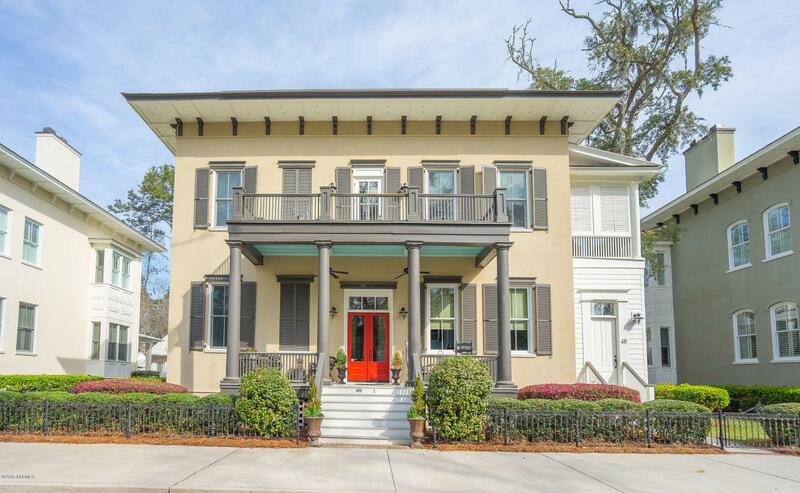 It is ideally located, on the water, just minutes from historic Beaufort, South Carolina and within an hour's drive of Hilton Head Island and Charleston, South Carolina as well as Savannah, Georgia. Listing provided courtesy of Weichert Realtors & Coastal Pr.